100% Safe, Uses Simple Ingredients, and Made in the USA! O2 Derm™ PET is a pure and simple gel, used and recommended by veterinary professionals. Rich in molecular oxygen, PET promotes healing and relieves muscle aches and pains. Your pets are active every day. Give their skin and muscles the oxygen needed to renew, revive, and repair. O2 Derm™ PET rubs in easily and quickly. Typical pet creams and rubs leave your hands and your pet’s skin with a noticeable chemical residue. O2 Derm™ PET is non-greasy and fast-absorbing. Pets have sensitive noses. O2 Derm™ PET is specially formulated as an odorless, colorless gel for natural pain relief. A patented breakthrough product, O2 Derm™ PET uses proprietary technology to bring together a few simple ingredients, including water, oxygen, nitrous oxide, and nitrous oxide in a new, state-of-the-art formulation. No preservatives! O2 Derm™ PET helps relieve the scratching and misery of itchy, dry skin and flea bites. Rub it in. O2 Derm™ PET is soothing. Oxygen assists muscles to relax faster and become more flexible, reducing pain naturally. O2 Derm™ PET is safe and non-toxic. Dye and fragrance free. Alcohol and steroid free. Apply to the skin as needed for cysts, sprains, strains, muscle relief, itchiness, and skin irritations. Have you noticed a hairless bump or ulcerated sore between your dog’s toes? This common affliction is often referred to as an interdigital cyst or “furuncle.” These lesions can be painful and related to a variety of causes, from mites and allergies to ingrown hairs and excess weight. O2 Derm™ PET is one of the simplest and easiest to apply products to help relieve the irritation of interdigital cysts in dogs. Our odorless, greaseless, non-steroid formula helps with both the pain and healing of interdigital cysts. 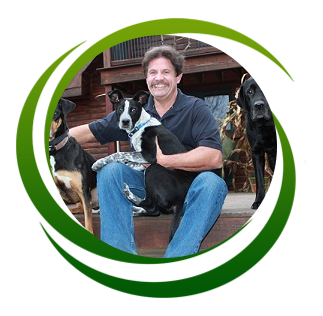 Read our Veterinary Testimonial! Of O2 Derm™ PET Enthusiasts!